Penguin books are running a summer holiday reading campaign called Travel by Book. Great idea. I took part in their quiz and was told I should be “walking the streets of Amsterdam”. OK. I have done that. (Yes, I think this was in relation to my saying that I liked art galleries, not anything untoward!). But I’ve never read much in Amsterdam; just looked at art and tulips and canals. They also suggested a romantic novel for me… Erm, yes, well, not my cup of tea really….But last time that I was abroad, in lovely Cape Ann, I did read – a lot. Once I was really ill there and could do nothing but read a lot too – without any guilt that I should be doing something else “useful”. Do I really have to be ill to read?? And actually, is there anything more useful and enjoyable than reading? Of course – you know I’m going to say this – reading is one of the best things to do to be more creative. Not only do you observe the skills, writing techniques and imagination of the author, but you also hone your own ability to create other worlds and to see potential in the “what if…?”, in magic, science fiction and happy romance. All places where innovation can be born and ideas grow without boundaries. When I am teaching and my students struggle with ideas I say to them, “Think of what your project might be if it is in a magical book like the Harry Potter series, or if it is set way in the future in a science fiction novel”. It works because it is hard to free your mind of the boundaries of everyday life without a lever. Travel by Book inspired me to think of where I have been through literature. Indeed, many, many places. But I felt the yen to list some of the most life-changing armchair travel. It all started with fantasy worlds when I was a child. The maps in the Milly Molly Mandy books were the staple of many games with tiny paper cut out figures, or even just with beads, moving around the lovely little village. Small travel for small people. But it was important where each character lived, somehow. This then progressed onto the Moomin books by Tove Jansson. I’ve mentioned these before because of the fabulous illustrations. I don’t mean just the cuddly characters but the miniature landscapes that are sublime in the most scary and small-making manner of the best Romanticism. These books are about philosophy dressed up as kids’ books and the images show that too. 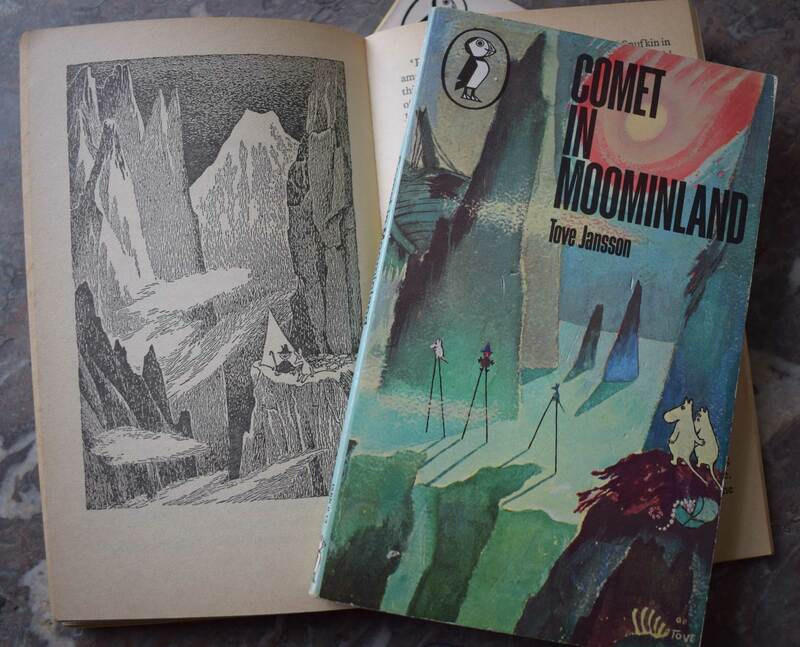 I loved most of all the frantic journey to the observatory and then to the safety of the cave that features in Comet in Moominland. These fantastical, slightly Finnish places were as real to me as any real country. I think it was my first acknowledgement of the epic journey and the thriller rolled into one. Unsurprisingly, next I shall mention Tolkien’s Lord of the Rings. More epic journeys and plenty of maps, with a sprinkling of languages thrown in for authentic travel flavour. I remember well reading the scene in the inn in which the hobbits first meet Strider (Aragorn) as well as the mountains, towers and woods. This is a large book and my well-worn copy has 1077 pages. Yet because it meant a lot to me to read this at age 11 I found it more than the sum of its parts. It helped my perception of myself as a reader to read the lot (it took a few months) which is something I have never managed to do again, despite several attempts. A teacher took me aside to say I might like it and my parents bought it the next day. I felt special and wanted to live up to the challenge. 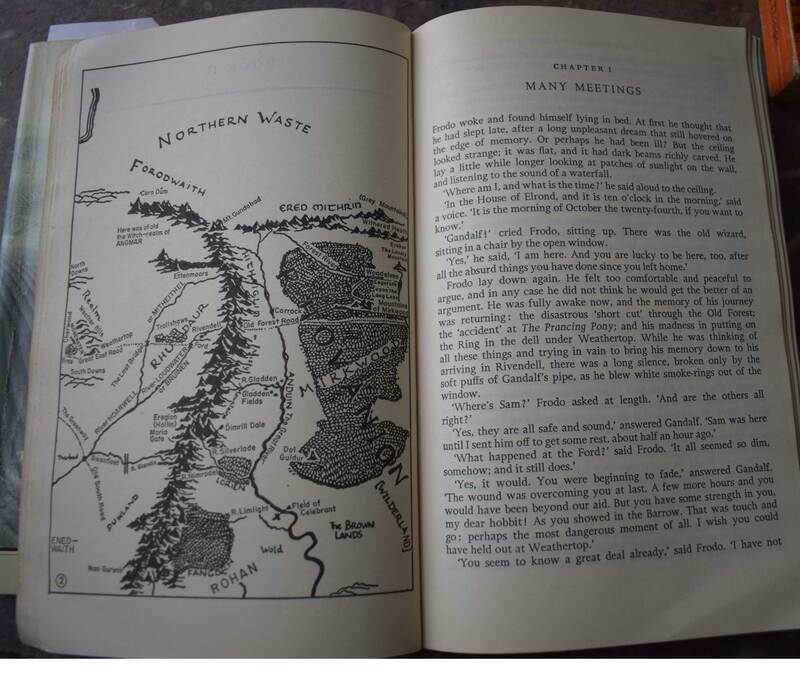 The epic-ness of the book’s content, not just its size, helped me to see it as something important. Nowadays it is criticised for the depiction of the East as evil. But really, like Harry Potter and many other classics, it is a basic story of good, ordinary folk standing up to evil elites. I don’t think the direction is more than a red herring. 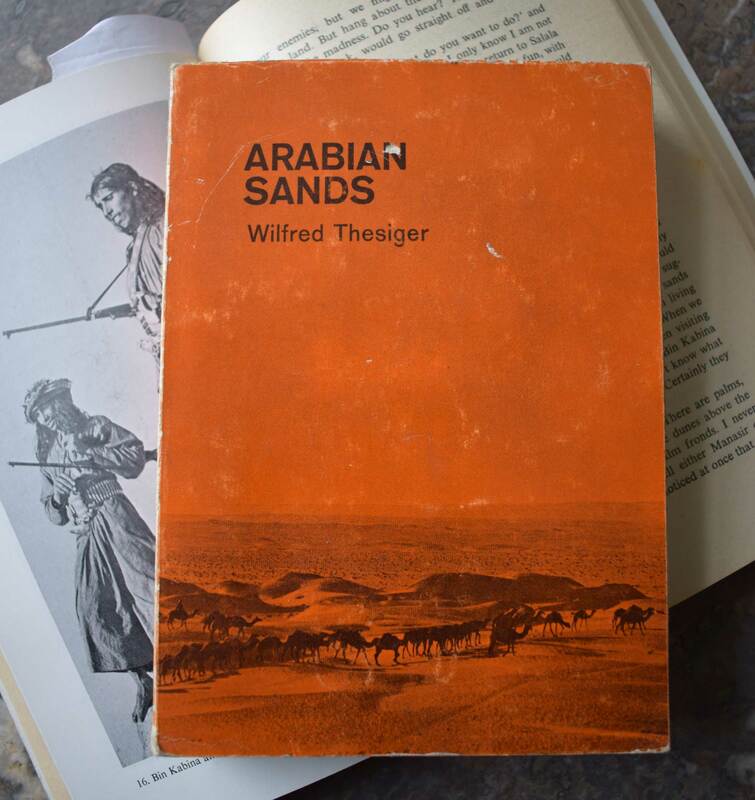 And talking of the East, my next nomination is a factual travel book, that reads with all the passion and excitement of a novel: Arabian Sands by Wilfred Thesiger. Again, it is an epic journey in which Thesiger crosses vast, lonely and dangerous deserts of the Arabian Empty Quarter with a handful of local companions and guides. Thesiger saw it as romantic at the time and so did I when I read it. It is filled with exotic names and places and the kind of spiritual way of living of nomads. Again, nowadays you might judge it colonial and patronising. There are clearly no women in it at all for so many reasons. I found my already old and worn edition out by the dustbins where a neighbour had chucked it away so it seemed like a discovered treasure. After reading Arabian Sands I found myself living in the Middle East. Possibly a coincidence but perhaps not. While I was there I pined for academic reading and spent a lot of time in the British Library. My best friend there, Khalil (who also travelled a lot), gave me a copy of Dostoyevsky’s Crime and Punishment. Heavy? Would I manage this? Too Russian? Too morbid? In the end reading it was like an imaginary kind of urban exploring – excitedly visiting a run-down and indeed sublime city of overcrowded flats and moody streets. I found it Dickensian in character and with a head-on attitude of anti-Utopia. I loved it. Here I was travelling not only abroad but across time too, even if underneath it all the story is about morals and guilt. Possibly just another good versus evil story, with a lot of “evil” (for “evil” read humanity). If you don’t know the story, it is about Raskolnikov, a young man who bludgeons an old woman to death and tries to conceal his guilt. It was a relief to be in the book sometimes and not in the world. But my Middle Eastern friends and in-laws got cross when I wanted to read instead of translating American films to them which frustrated my desire to be depressed by my book travel to St Petersburg. Talking of murder, another fantastic bit of travelling by book is The Devil in the White City by Erik Larson, a double act account of the World’s Fair in Chicago in 1893 and the nefarious, psychopathic goings on of “America’s first serial killer”, H. H. Holmes. Before you get the impression that I dwell upon murders (though people who are interested in serial killers are, so they now say, more intelligent…!? ), yes, before you get that impression let me just make clear that most of the book is about Chicago, its influx of people for the Fair, the status of lone women, the smelly slaughter house as spectacle (not a lot to say about this dreadful idea – except perhaps if we saw more of them today we may realise the cruelty…I digress) and the actual design and building of the enormous and complex Fair. Interesting to see how Walt Disney got many of his best ideas from here, such as a Main Street and rides. His dad worked in the World’s Fair. Actually, it is interesting to see how many ideas per se were invented for the Fair and how even things like the electricity supply and things we now take for granted were developed especially for it. 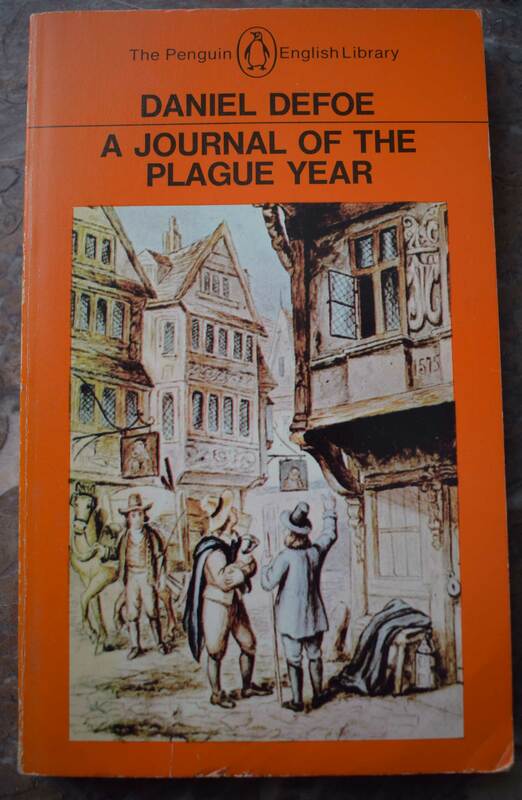 Two other historical books that made me travel through time and space are Daniel Defoe’s novel-as-diary, A Journal of the Plague Year (written in 1722 about the events of 1665) and John Prebble’s factual narrative of the 1692 massacre by royal forces of the highland clans in Glencoe, Scotland (Glencoe: The story of the massacre). I live near London and go there often. London, like other cities, is haunted by its fascinating past and the plague and Great Fire are, to me, always present in another layer of dimensionality. Defoe was a politically minded writer who sets the true story as if written by a contemporary citizen. This makes the written depictions of the hot summer suffering, the red crosses on the doors of stricken houses and the fantastical medicinal masks worn by those who had to face the streets, all very vivid. The reader travels through time to the rickety pre-fire city and can smell the odours and hear the sounds of the dead cart. The story of Glencoe, on the other hand, takes us to a colder, snow-stormy place where the disease is not a germ but systematised hatred and a plan to exterminate the innocent. This story of Highland hospitality, dinners and card-playing ends with mass shootings and children in the cold dying of exposure. Knowing that a few soldiers broke their swords rather than commit a massacre redeems this travel a bit but it is, nevertheless, grim. Yet Prebble’s book is one of the best I have ever read. Good authors can take us anywhere. 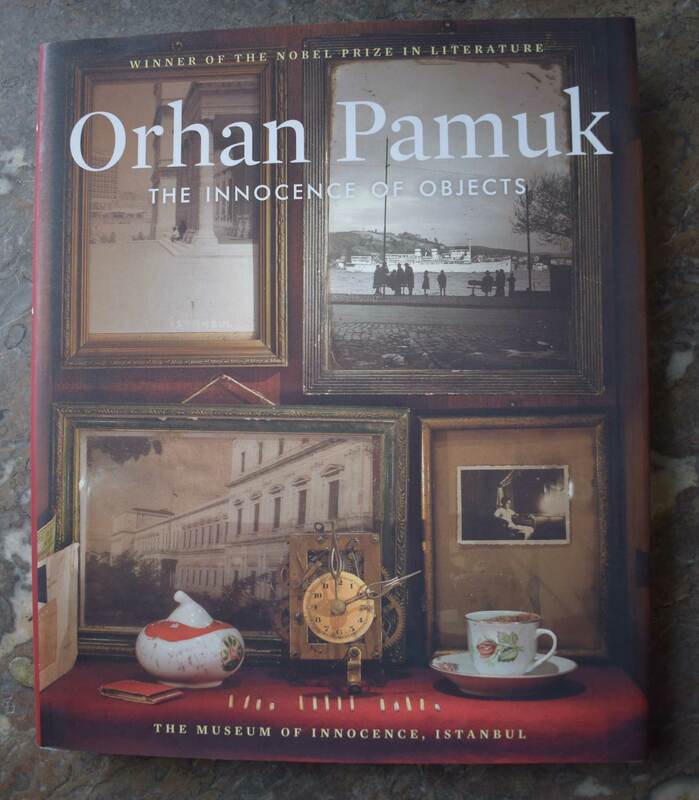 Regular readers of my blog will know that I often mention Orhan Pamuk’s The Innocence of Objects. This is his description of how he built a museum to go with his Nobel Prize winning love story, The Museum of Innocence. The factual book is not just an account of Pamuk’s growing collection, but is a fond description of an Istanbul lifestyle that is fast disappearing. It is nostalgic for times past, for parents and families, all through the lens of the characters of the novel and Pamuk himself. It becomes hard to know (and care) where real people end and the fictitious ones begin. Istanbul itself, seen through words and photos of places and objects, seems both very normal and family oriented but also very mysterious and “historical”. I had a yearning to go there and handle the objects, drink from the ordinary cups and compare contemporary life on the Bosphorus with Pamuk’s old, torn photos. I think any place could be made to seem as intriguing by displaying our old photos and ephemera and just the stuff from around our houses. The ordinary becomes extraordinary. Obviously a creative project or several in there. Previous Previous post: Traits of creative people – is this you?